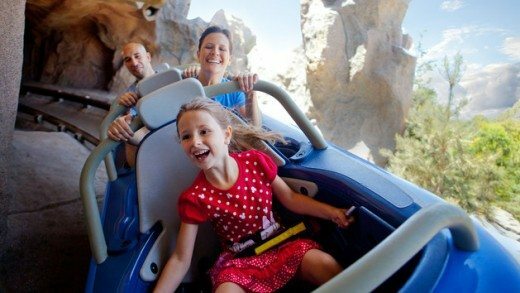 I’m not a season pass-holder or a big time fan of Disneyland but I do happen to live in Southern California and I have been to Disneyland a few (bazillion) times so I thought I’d share my favorite and least favorite rides and attractions for families visiting the magic mousetrap for the first time. Disneyland is a very big park with a lot to do. Add some crowds (which is pretty much guaranteed from July until New Years) and you will find you just can’t fit it all in. I recommend spending one and a half days at Disneyland and then get a hopper pass to Disneyland California Adventure for the second day. Disneyland California Adventure is a fun park but you can do it in a little more than half a day. I’ve found that I can do all the rides and then I’m wondering what to do while I wait for their 9:30pm World of Color fireworks. That’s a great time to go back to Disneyland Park and catch a few more rides that you missed your first day. If you’re stopping by for just a quick visit, then there are rides and attractions I think you can definitely skip. Please, feel free to disagree with me or add your own suggestions in the comments section! It really does help if you can get to the park before eleven in the morning. Most people show up late and you will find yourself waiting in long lines for security, tickets and then inside the park. So get there early and enjoy the morning lull! Of course you will do Main Street. You have to go down Main Street to get to everything else. For many years I avoided Main Street and hopped onto Disneyland Railroad to circumvent the crowds but this last visit I walked down Main Street with a friend and she renewed my appreciation for Walt Disney’s original vision. It’s fun to imagine what Disneyland was like back in those days when it ended at the end of Main Street. Take a minute to admire how well it has been preserved. 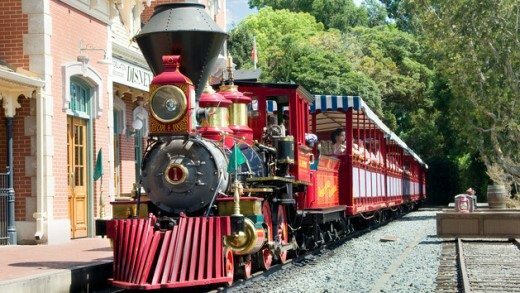 Save the Disneyland Railroad for when you’re feeling tired and need a break. It’s nice slow ride with some surprises (Dinosaurs!) along the way that make it fun. And of course the railroad is great for getting from one side of the park to the other. Snoresville. Skip it unless you are my Dad or really into history and Abraham Lincoln. Or better yet, catch it on your way out of the park. It’s a nice tribute to Abraham Lincoln and Disney. Main Street Cinema is a fun little place to hide away if you need a few minutes (maybe two) out of the heat while others shop. You can sneak inside and watch old cartoons. Unfortunately, there are not any comfy seats here and if you aren’t chasing little children around, you’ll find yourself leaning up against some hard metal bars wishing you could nap vertically. 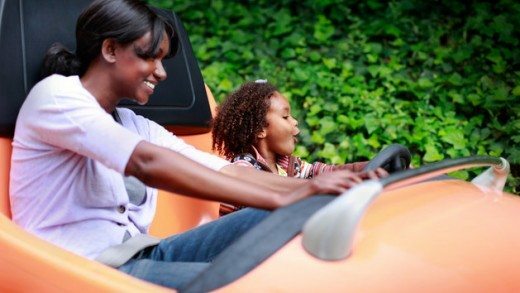 The Autopia ride is a must for kids. Not so much for adults. Of course it’s fun, kids get to drive! You can even pay five bucks afterwards and get a real Autotopia driver’s license. Unfortunately, the cars do not operate like real cars (unless your car is straddling a median and you are drunk…). Let’s just say the ride can be a bit less than smooth. You might need to visit your chiropractor for a realignment when you return home. Innoventions is a great place to escape heat and crowds if you are visiting Disneyland on a crowded hot summer day (which is pretty much every day in Southern California). 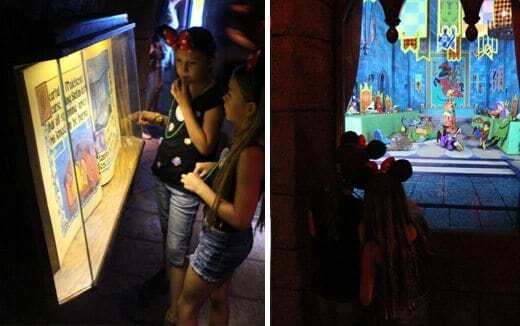 It’s fun, interactive and usually very nicely air conditioned. But you can definitely skip this or save it for a second day. Star Tours A must for Jedi junkies. Lots of twisty turns and drops. The lines can get long though so grab a Fast-pass or go before 11am. Buzz Lightyear Astro Blasters is fun for your little gamers. You get to shoot at things and actually play against the person you ride with AND you can even email yourself a photo of the two of you for free at the end. Skip the Captain EO Tribute unless you are die-hard Michael Jackson fan. The volume is ear-piercingly loud and the film is a distractingly gritty since it was made so long ago. 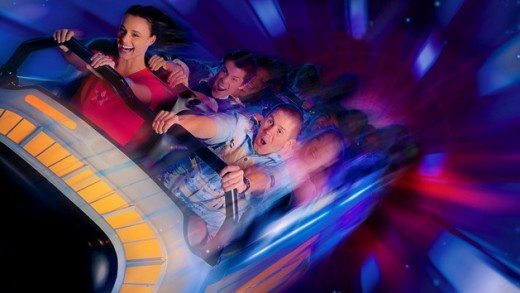 Space Mountain is must for roller coaster lovers. Catch this ride EARLY or Fastpass it because lines get long quick. The Disneyland Monorail is a great way to escape the park if you have time for a quiet relaxing lunch in Downtown Disney. It’s tranquil and scenic but not air conditioned! So skip it if it’s hot outside. Board at Tomorrowland and Downtown Disney outside the park. Skip the Finding Nemo Submarine Voyage ride if you are at all claustrophobic. Wait times are long, ride only so-so. The effects are cool but not worth the 30-70 minute wait (unless of you have a toddler really into Nemo, of course). 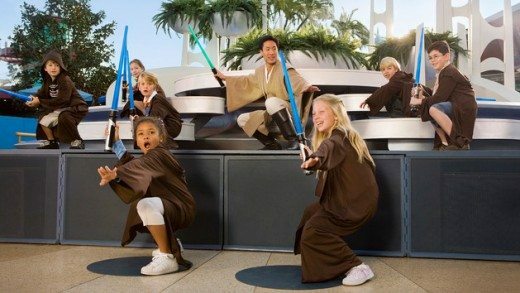 If you are at all a fan of Star Wars make sure you check your guide for show times and don’t miss the Jedi Training Academy. Arrive 20-30 minutes early and make sure your child sits up front if they want to be chosen to participate. Skip it. Mr. Toad’s Wild Ride gives you whiplash and blows out your eardrums at the end. Don’t miss it! 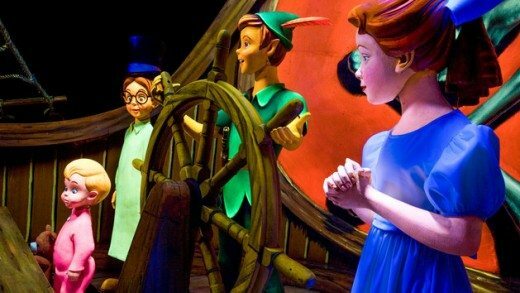 Peter Pan’s Flight is old but magical and makes you want to go away to Neverland. 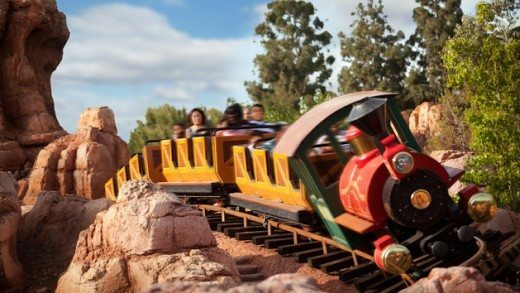 Skip Pinocchio’s Daring Journey unless the lines are short or you are a big time classic Disney fan. See above re: Pinocchio’s Daring Journey. Same opinion. Riding the Storybook Land Canal Boats is a nice way to slow down. Especially nice for horticulturists interested in bonsai aka twee trees! Dumbo’s Flying Elephants is basically like a local carnival rides but kids always get a kick out of them. If the rides are short let them ride by themselves while you stand-by and wait for photo opportunities. My daughter likes to joke that the Casey Jr. Circus Train is the scariest ride in the park and by that she means: It’s Opposite Day and it’s probably the most tame and boring ride. But it’s fun to joke and be theatrical about it. More of the same. Skip it. Now here is where things start getting interesting. Matterhorn Bobsleds is an old ride so it’s not as smooth as the newer rides. You basically circle around from the top of the mountain to the bottom but it’s fast and fun and only slightly jerky. Not recommended for people with neck problems. Also they took out the bench seating so it’s not as cosy as it used to be but probably safer. Skip it. You can ride carousels similar to King Arthur Carrousel at any big mall. 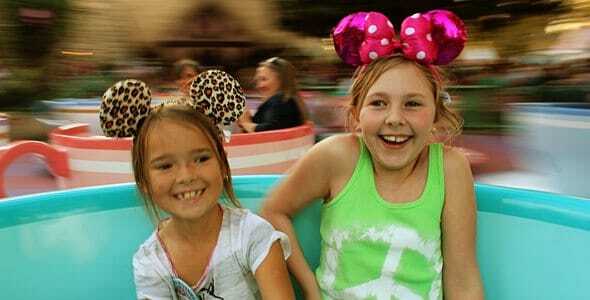 If you like spinning carnival rides (like I do) you’ll love the Mad Tea Party ride. If you are inner ear challenged and you prefer to keep your lunch inside your body then skip it and take a photo in the stationary cup just outside the ride instead. The Sleeping Beauty Castle Walkthrough is a fun little secret inside the big castle that many people don’t even know is there. You’ll climb a bunch of steps and peer into windows to follow Sleeping Beauty’s story. Fun for littles and people who spook easily. Make sure you pull on all the door handles. 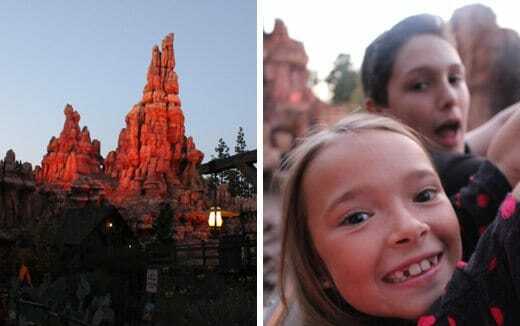 Big Thunder Mountain Railroad is my personal favorite ride. Fast, but not too jerky. Surprisingly smooth after the latest remodel. Make sure you try it at night too for more special effects. Skip it unless you are big fan of big beautiful old boats. 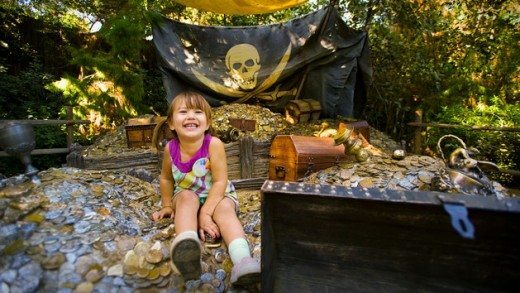 The Pirate’s Lair on Tom Sawyer Island is a great way to catch a second wind if the long lines and heat are getting you down. Find a shady bench to recharge while your children explore. Lots of nooks and crannies to explore and pirate lore. Make sure you get here before dusk when it closes. 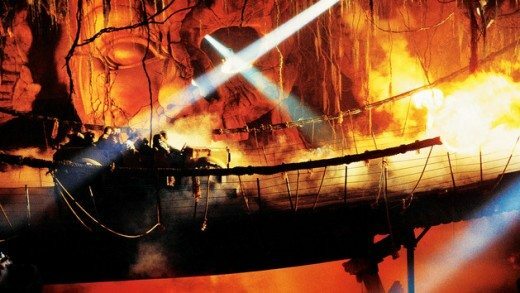 The Indiana Jones Adventure: Temple of the Forbidden Eye ride is high on thrills. Little kids might find it scary but older kids will love it. Lines get long quick so Fastpass this one for sure. 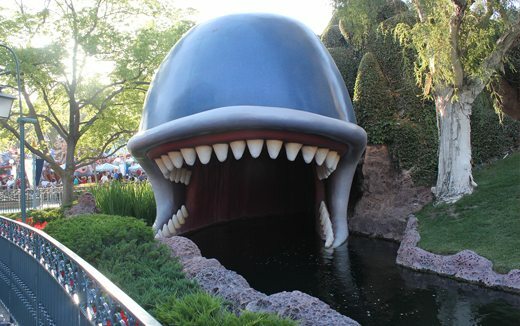 I love this classic Disneyland ride. The Jungle Cruise is fun and silly and you never know if your skipper be some up-and-coming comic. However, lines can get really long and because of how the lines wrap around and around inside two different buildings, waiting times can go on even longer than you expect. So pack your patience and manage your kids’ expectations. Skip Walt Disney’s Enchanted Tiki Room unless you need a cool air conditioned room to relax in. It’s kinda quirky with all the animatronic flowers and birds singing 60’s Polynesian classics but if you have a short attention span it can be a little boring. Do try some freshly squeezed pineapple juice or Dole whip on your way out though. 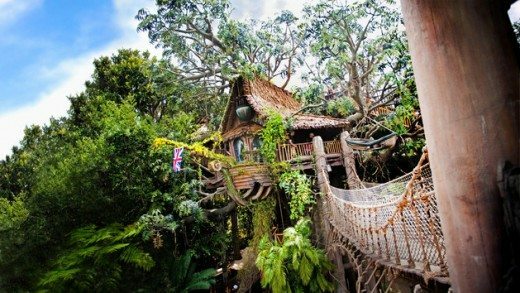 We love Tarzan’s Treehouse and do it at least twice every trip. It’s fun to climb and at the top you can get some pretty great views of Disneyland. Classic and fun. 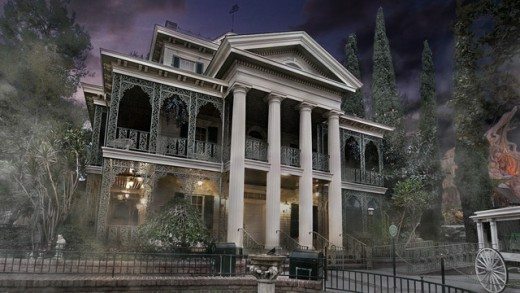 Of course the Haunted Mansion ride usually breaks down at least once while you are on it but that might be part of the spookiness. You just never know what’s going to happen! 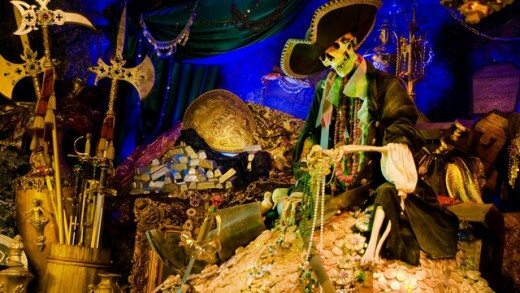 The Pirates of the Caribbean ride is a must. There are only two moderate drops (or was it three? I can never remember) and the rest is just good fun. 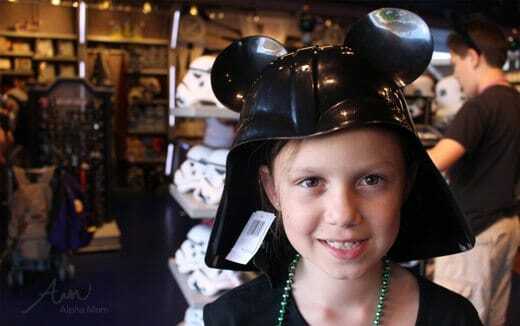 This is a good starter ride for littles. 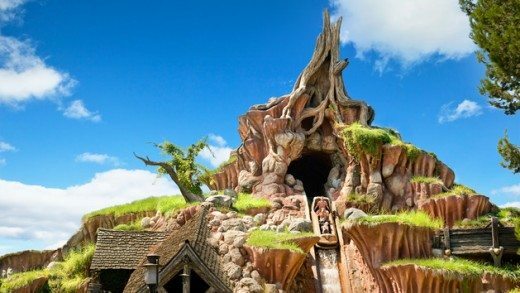 Unless you have a Winnie the Pooh fan in your group I say skip The Many Adventures of Winnie the Pooh ride. But it is cute and fun for little kids. 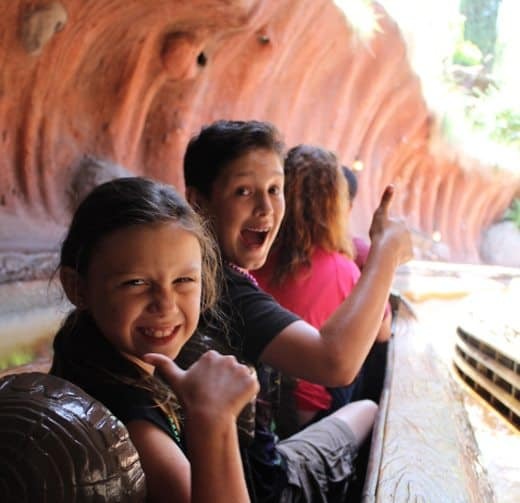 Definitely hit the Splash Mountain ride. Get there early or get a Fastpass because lines fill up quick. Be prepared to get slightly wet (sometimes more than others) on the last drop so you might want to pack extra clothes and keep them in a locker, just in case. Super fun! 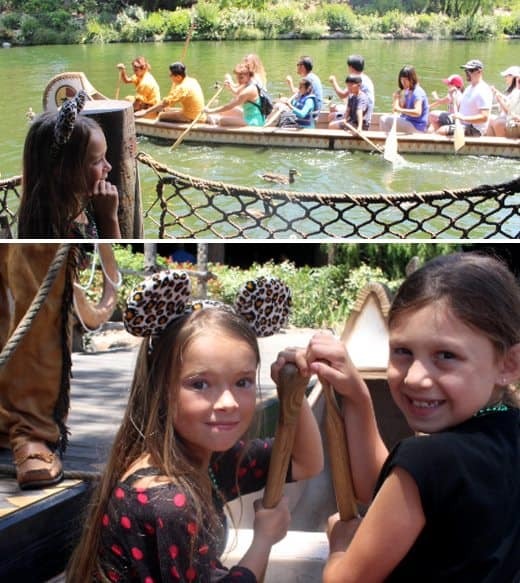 Davy Crockett’s Explorer Canoes is a lot of fun especially on a hot day. But if it’s a bit cool you might want to skip it because invariably there will be someone in front of you who can’t paddle and you’ll end up with a lap full of river water. As far as I’m concerned you can skip ALL of Toontown but your kids might disagree. I don’t have a lot to recommend for this area but it’s a nice place to let little kids run, explore and play. 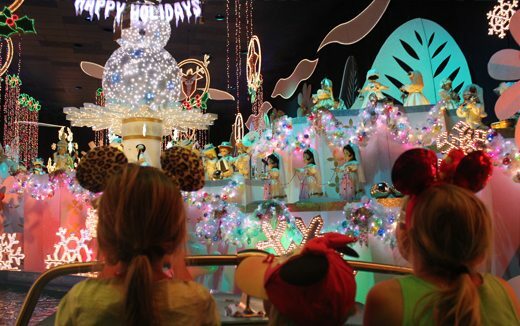 You can also meet a few characters and ride some low-level beginner roller coasters. 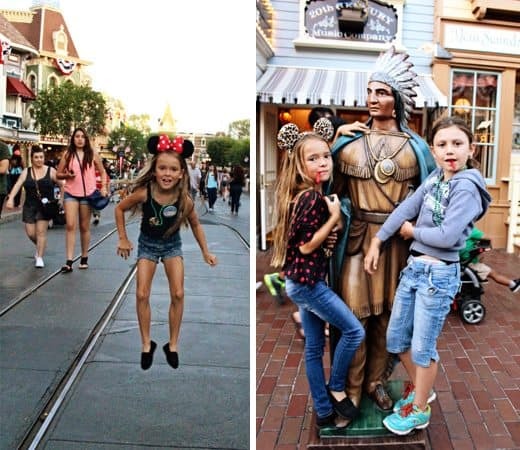 Disneyland does a very good job of making sure everyone has a magical time. There really is something for everyone, even disgruntled Southern Californians jaded by crowds and merchandise being forced upon them at every turn. Whether you are there for the rides or the Disney lore, you will get your money’s worth of entertainment, all ninety-some dollars of it! Excellent review! I agree with all of your recommendations. Thanks for sharing! Currently at Innvoventions they have meet and greet’s with Thor and Captain America, so I’ll recommend it as a Do It if you have little (and not so little) Marvel super hero fans. Thank you so much for your feedback. Really appreciate you adding your opinion! 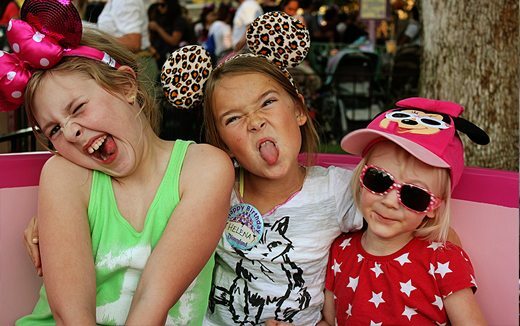 One question: what is the youngest age you would consider taking a kid to Disneyland? 3? 4? 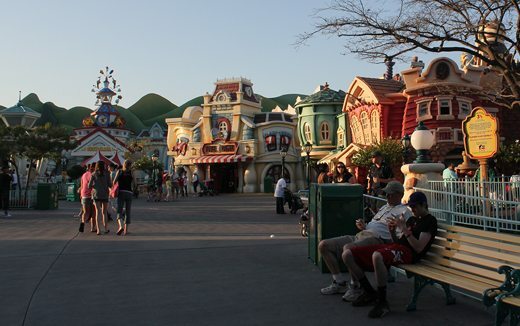 Toon Town has Mickey and Minnie’s houses–which usually are a short wait to see those characters. A must if your kid is into meeting them. Also–both building are very good AC and lots of fun stuff to look at for the kids. great feedback. Thank you very much!